Whether it’s honey bees, ground wasps, or bald faced hornets, we’re here to help with chemical free removals. If you are located in Pennsylvania, New Jersey or Delaware and within two hours of Philadelphia please contact us for a quote. Important Points when dealing with wasp nests and bee hives. 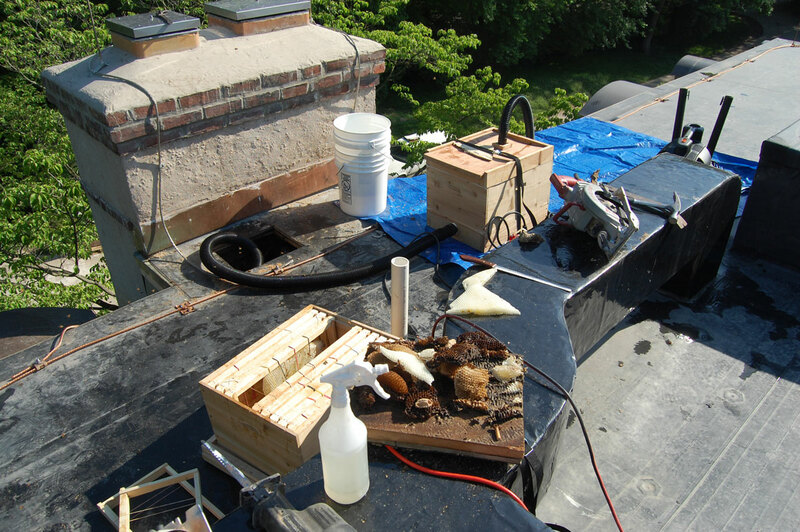 It is important not to attempt to kill honey bee colonies, particularly those located in houses. Due to the large number of individuals (60,000+) and the honey stored. Killing the colony will result in rot of the biomass and fermentation of the honey stores. Do not attempt to seal entrances to nests coming into a home. Wasps and bees need 1/4 inch of space to move through. Sealing them in can push the colony inside your home.